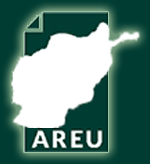 AREU recently completed the “Afghan Constitutional Analysis and Dialogues” Project, the first major study reflecting on a decade of the 2004 Constitution. The project examined the status and evolution of constitutional and legal debates ten years after the adoption of the Afghan Constitution. As part of the project AREU commissioned a series of papers examining key themes of the Constitution including separation of powers, electoral framework, and fundamental rights. Each paper examined actual constitutional crises that took place over the past ten years, and analysed underlying legal and political issues. 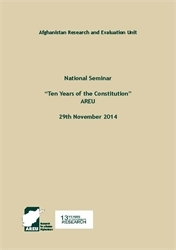 As part of the Study, on 29 November 2014, AREU held a National Conference entitled “Ten Years of the Constitution,” where the main findings from each paper were presented. The conference proceedings were conducted in Dari. This report brief presents an edited translation of the proceedings.